Click on Launch, then click on Space Race. 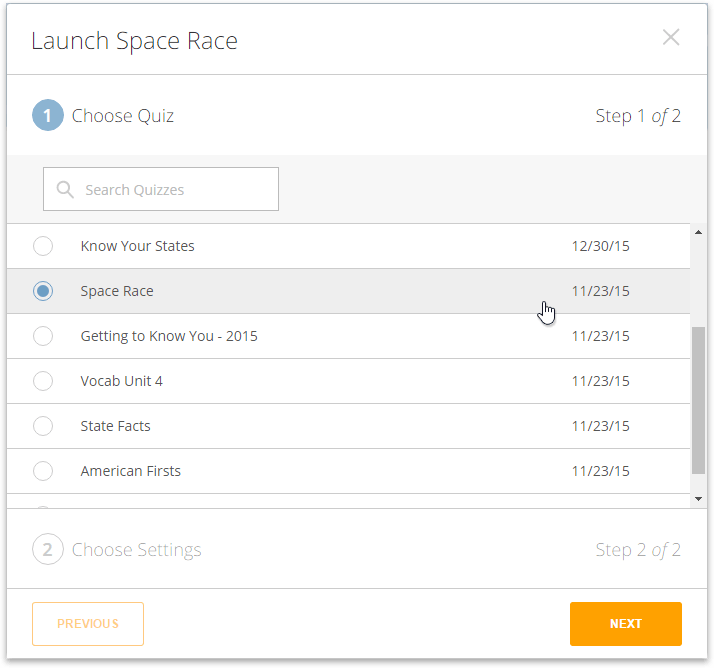 Select the quiz you want to deliver as a Space Race. 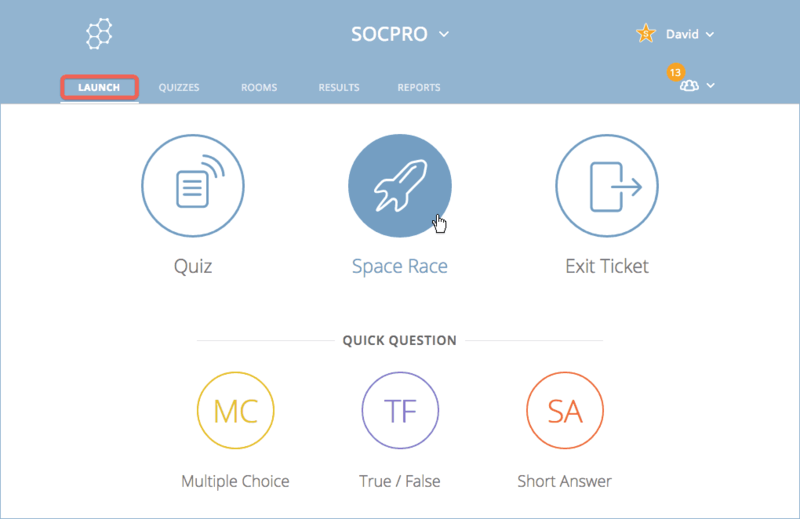 Note: Be sure the quiz you select has graded questions or else the rockets won’t move. Play by themselves on their own computer or mobile device. Play together by sharing a single computer or mobile device. Play together on the same team, but answering on separate computers or mobile devices. Decide whether you want your students to choose their own teams or be randomly assigned to one. 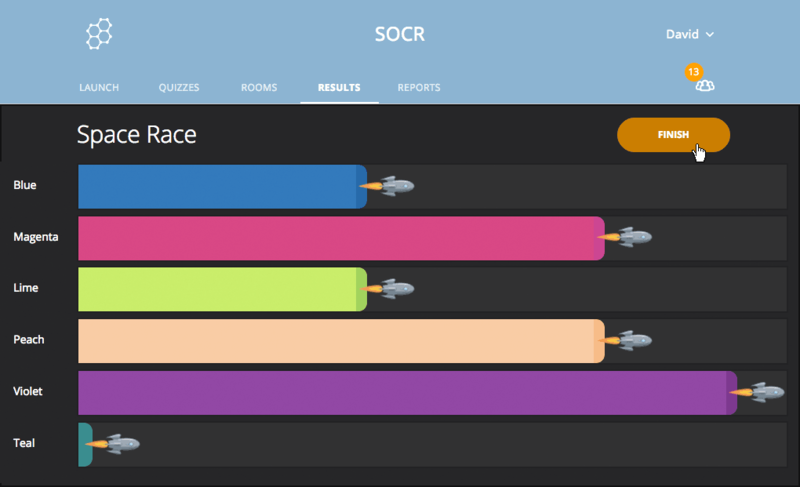 Note: If you choose auto-assign and there are more students than the number of teams, Socrative will attempt to split them evenly between teams. Select the icon that you want to move forward as students answer questions. 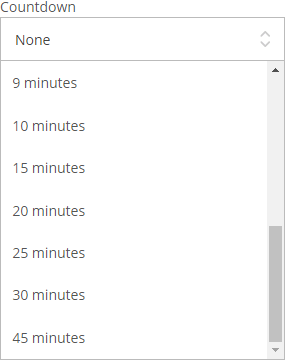 Select how long you want to give students to complete the entire Space Race activity. If you want to turn off the Instant Feedback dialog to speed up the game, switch the following toggles from YES to NO. Click on Start to begin the race! Note: Make sure your screen is projected so students can watch their progress. 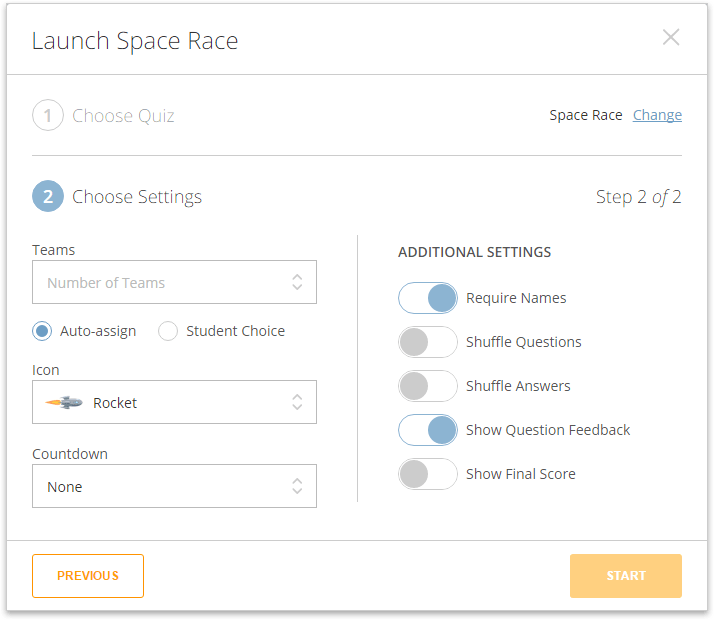 When you are done with the Space Race activity, click Finish; your students can then Log Out or await another question.